Retinitis pigmentosa refers to a group of inherited diseases of the retina characterised by a gradual loss of photoreceptor cells (apoptosis), predominantly rods, and of retinal pigment epithelium due to specific protein and enzyme mutations. Retinitis pigmentosa affects 1 out of every 2,000 people and is the main cause of total blindness. What are the effects of retinitis pigmentosa? This illness, which usually appears between the ages of twenty-five and fifty, leads to a gradual loss of visual acuity, defects in the field of visual and night blindness. Its early symptoms are glare, difficulty in adapting to darkness, gradual loss of visual field and defects in colour vision. 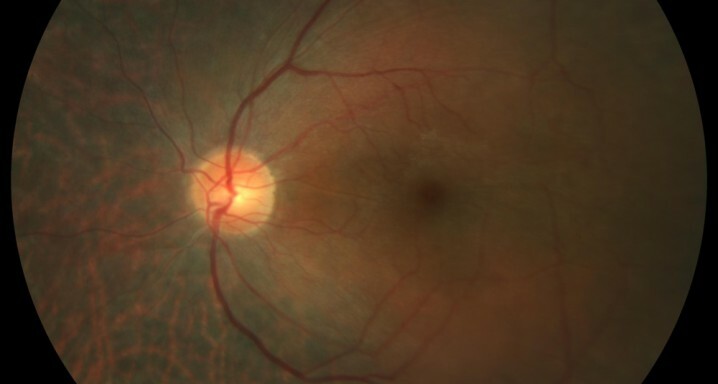 Most cases of retinitis pigmentosa are hereditary and the prognosis, as well as its progression, may be related to the different ways it is inherited. A thorough ophthalmological examination is crucial, which also includes the following tests: a retina scan, autofluorescence, optical coherence tomography, visual field campimetry and, in some cases, microperimetry. There is currently no treatment for retinitis pigmentosa although the research being carried out worldwide is very intense and promising. In this respect, the Institut de la Màcula collaborates closely with the Barcelona Macula Foundation: Research for Vision, a foundation specialising exclusively in research into retinal illnesses that cause blindness. The aim of this collaboration is to find solutions and treatments for those illnesses that are still incurable and cause blindness. Specifically diagnosing the type of retinitis pigmentosa in question can be very useful for patients and their families, especially in order to assess the risk of other relatives and descendents of contracting the illness and its prognosis.